"...a fabulous job...the best!" "...absolutely delightful!" Past clients have raved about Manhattan Holiday (formerly Definitely Dickens). Leave a lasting impression on your guests, too! 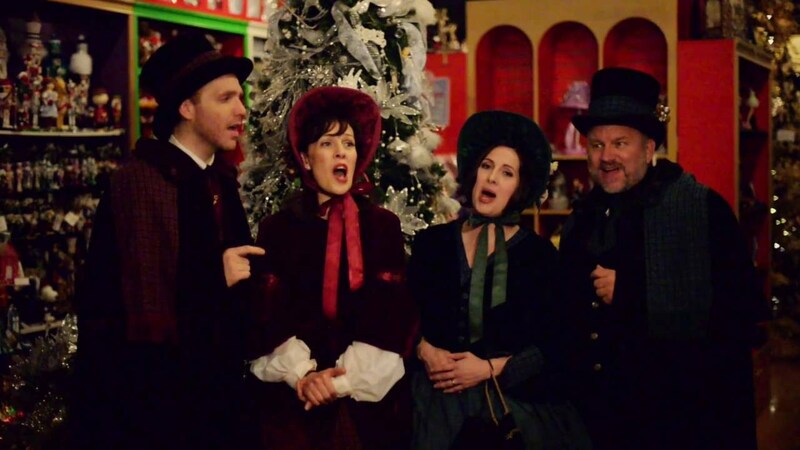 Comprised of phenomenal professional singers, including Broadway veterans, Manhattan Holiday is a premier caroling company in the Tri-State Area. 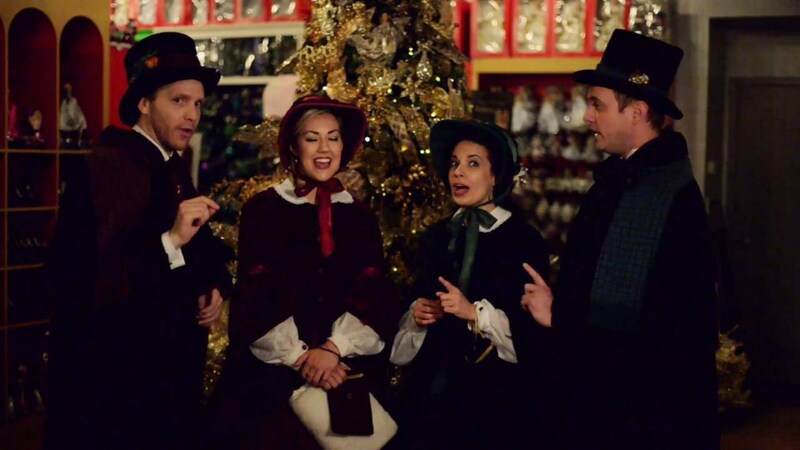 Carolers arrive in dazzling Victorian costumes, performing selections from a vast memorized repertoire, ranging from traditional classics to contemporary favorites, arranged in a variety of styles. Our elegant ensembles fit in perfectly at any corporate or home celebration: at the door greeting your guests, or strolling table to table taking requests. we have been using this group for the past three years at our annual Holiday house party - I have to say they are indeed the hit of the night. They are all amazing singers, the costumes are on point, they are engaging and really bring the holidays home. I would highly recommend them for any festive event you are hosting. Bravo!!! I cannot say enough good things about them - HIRE THEM!!! Your guests will be thrilled!!! Thanks, Debbie! Always a pleasure to sing for you and your guests. Repeat Engagements - Chester loves the MHC! Each year, Historic Chester, NJ (ilovechester.com) offers exceptional holiday entertainment throughout the season to local residence and visitors alike. We are both honored and privileged to include the Manhattan Holiday Carolers (MHC) in our program - year after year! These merry troubadours generate excitement and the magic of Christmas where every they stroll. The Victorian/Dickens costumes are gorgeous and their remarkable a capella harmonies will leave you and your audience spellbound. It doesn't get any better than that! Thank you, Toni! We LOVE singing in Chester!! Thank you! It was a special and great treat to have the carolers perform at the Candlelighters NYC Christmas party. The kids and families love the performance and the festive spirit! FIVE stars all the way!! Our group was amazing!! On time, friendly, so accommodating. Overall amazing and worth every penny! Thank you! We loved being a part of your celebration. This December will be the seventh year in a row that the Manhattan Holiday Carolers will entertain for our holiday party and we couldn't be more thrilled to welcome them back once again. Their beautiful voices, intricate costumes, and kind demeanor are the perfect way to welcome guests to the party and we often find people staying with the carolers for multiple songs, singing along, and anxiously awaiting which carol will come next before heading into the rest of the party. Year after year we get too many compliments to count on how impressed people are with the Manhattan Holiday Carolers and we look forward to welcoming them back to entertain for many years to come. Their arrangements and performances cannot be topped. We work with Manhattan Holiday Carolers every year to provide extremely talented and professional vocalists for our holiday celebration and tree lighting ceremony. Costumes are fabulous, performers are incredible, and they are very easy to work with. Highly recommend! These performers present themselves well and sound like heaven. They know many songs and are well rehearsed. A fantastic addition to any holiday event. Thanks, Erin! We aim to please! 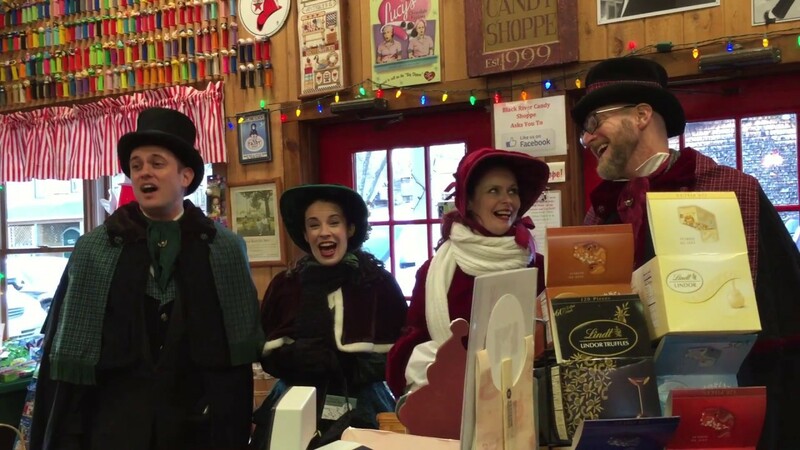 Because Manhattan Holiday Carolers never hold books, carolers are free to interact and engage guests while singing, taking requests (no flipping through pages to find a song! ), playfully including children, etc. A one-hour booking generally includes 45 minutes of singing, adapted to the needs of your specific event. Carolers arrive roughly 30 minutes prior to set time to dress and meet with the on-site contact. 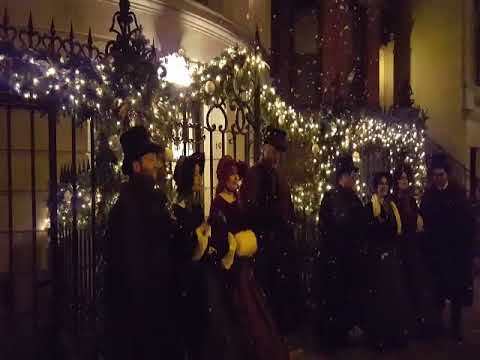 Manhattan Holiday Carolers (formerly Definitely Dickens East) was launched in 2005 as the eastern version of California's Definitely Dickens Holiday Carolers. Manhattan Holiday has attracted a roster of some of NYC's best singer/actors including Broadway veterans and cabaret award-winners. Over more than a decade in the New York area, Manhattan Holiday has been engaged by The Plaza, Tavern On The Green, NY Public Library, Garden State Plaza Mall, Atlas Park Mall, and the NJ towns of Chester, Maplewood, Hanover, East Hanover, and Cranford, as well as numerous private and corporate events. 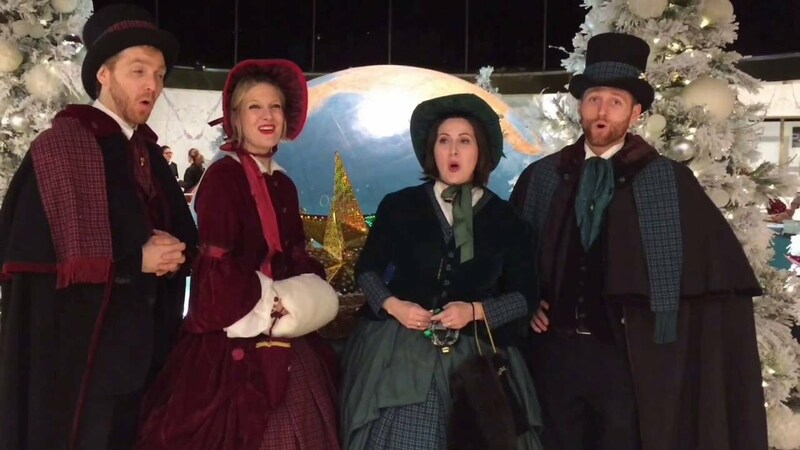 In addition to stunning hand-made Victorian costumes, what sets Manhattan Holiday apart from other caroling companies is the caliber of original musical arrangements. You've never heard a "Silent Night" as poignant, a "Do You Hear What I Hear" as hauntingly beautiful, or a "Santa Baby" as raucous and jazzy! Because all of our singers are actors as well, you and your guests will be entertained by lively and engaging musicians who make each song unforgettable.